Custom Projects – Kolorines S.A de C.V.
Do you have any custom project? We offer professional mosaic solutions for swimming pools, clients, sectors, public, commercial and residential spaces, which require orientation and comprehensive advice in the development of new swimming pool projects and personalized services. With hundreds of projects and multiple national and international awards, Kolorines is the Mexican mosaic brand with the greatest presence in the world. Kolorines Piscina provides a complete consulting service for the swimming pool industry. 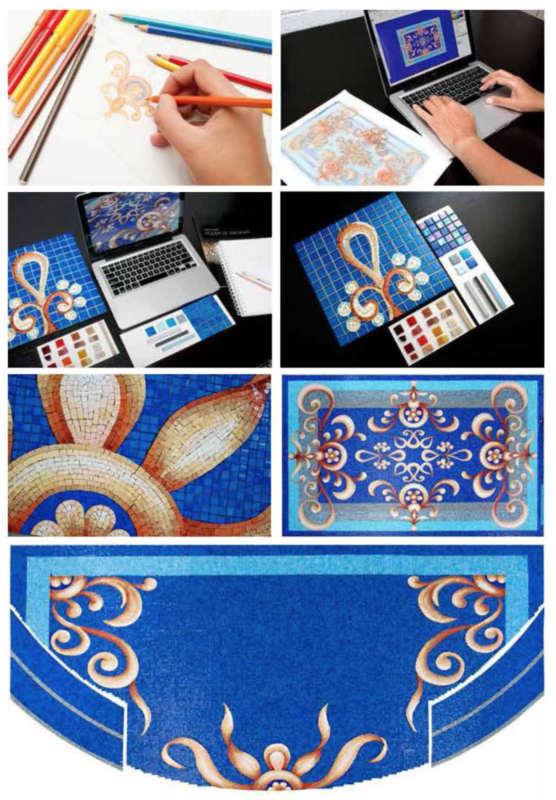 It consists of project guidance, custom artwork, and decorative proposals to complement artistic visions for specific mosaic swimming pool tile projects. Designs are executed by independent architects, artists, and designers. Kolorines Piscina’s purpose is to assist our clients all the way through the development of their projects.Kolorines Piscina, a division of MVM | Mosaicos Venecianos de México®, provides professional swimming pool mosaic tile solutions for clients in the hotel, public spaces, commercial and residential sectors who require comprehensive guidance and advice in the development of new swimming pool projects and personalized services. 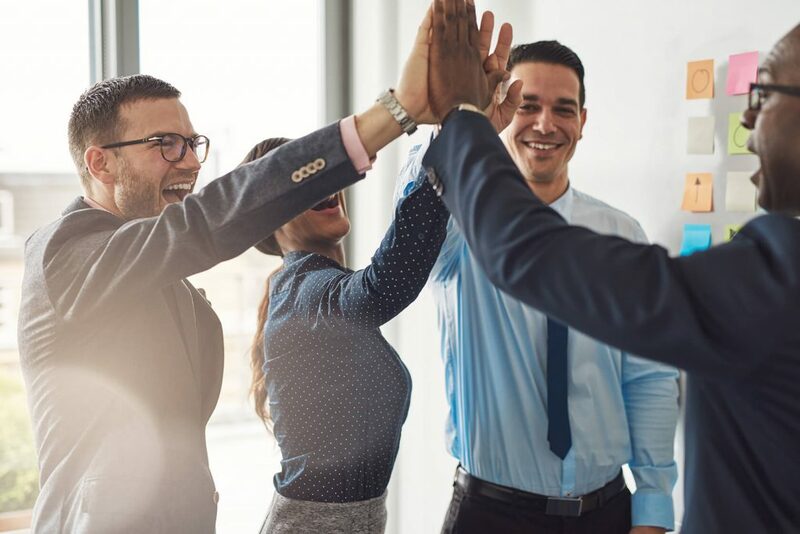 Commitment, excellence and reliability characterize our highly qualified team who offer the support you need to turn your vision into reality. 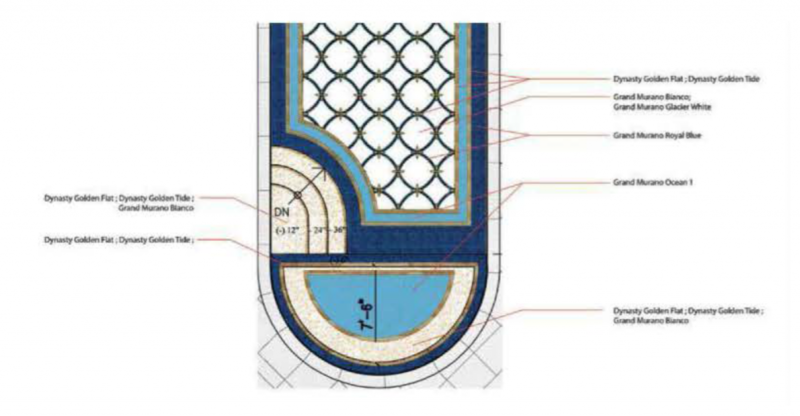 Our specialists will work with you throughout the initial phase of understanding the project and elaborating the mosaic tiles, to coordinating the project and offering recommendations for installation and maintenance. A range choice of over 1000 colors through the combination of modern techniques. 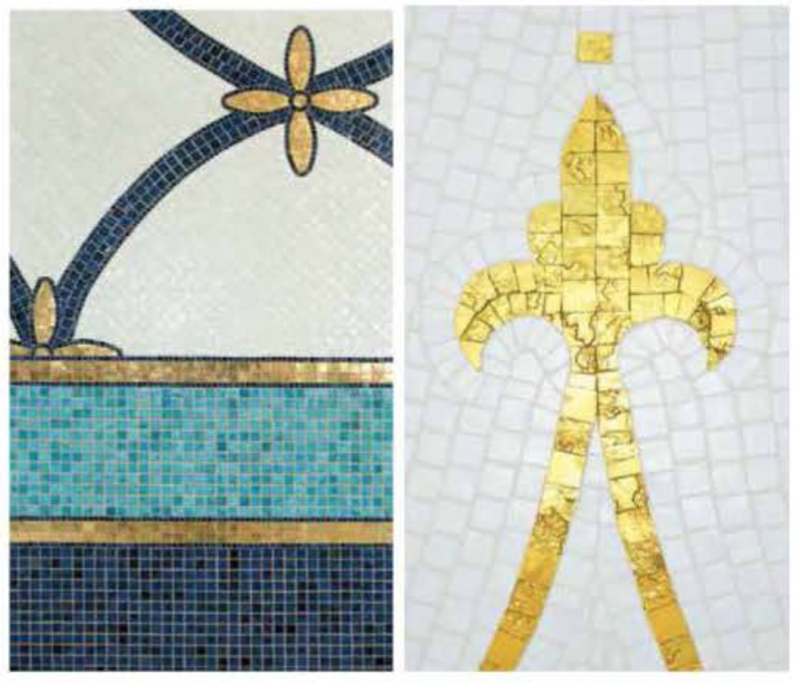 Our performance system sets the standard by ensuring the installation of each mosaic piece in the same way as a jeweler attaches a stone to a ring, offering: + GRIP + RESISTANCE + SECURITY. The handcrafted personality of our glass mosaics can be seen in their different color shades and felt by touching the texture of each piece of mosaic tile. Design and technology appropriate for high performance outdoors, in wet and submerged areas. Kolorines Piscina is a manufacturing division of Kolorines tile specialized in custom swimming pool glass mosaic tiles, custom mosaic art or custom Ekol aggregates and glass bead finishes. We work with swimming pool builders to create custom pool mosaics, color gradients and custom colors, custom blends and artistic designs. With our recommendations, we create samples or renderings and installation advice for high-end, custom swimming pool projects. Contact us using the contact form on this page for custom work and view our custom project gallery below. The artistic processes, innovation and appropriate technologies are the basis of the success of the kolorines firm as a world-class quality brand. Extensive experience and international recognition have allowed us to carry out residential and commercial projects around the world offering guarantee and confidence supported by more than 60 years of experience.